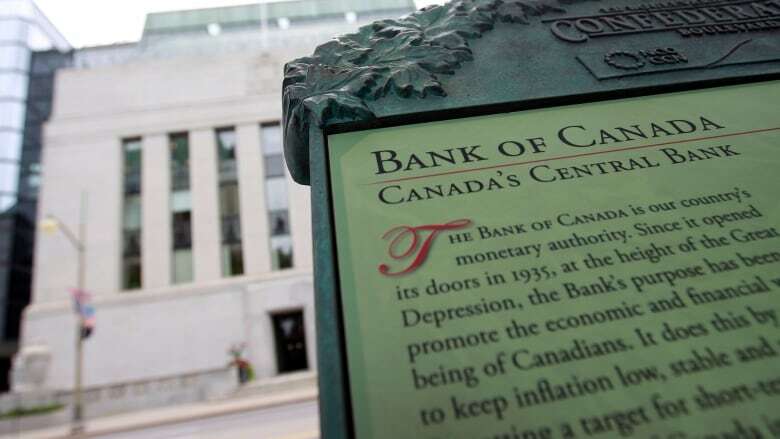 The Bank of Canada keeps its benchmark interest rate unchanged at 1.75 per cent, despite a few dark clouds appearing on Canada's economic horizon. The Bank of Canada kept its benchmark interest rate unchanged at 1.75 per cent Wednesday, despite a few dark clouds appearing on Canada's economic horizon. The bank has raised its key rate five times since the summer of 2017, attempting to keep inflation in an acceptable range, typically between one and three per cent annually. The bank last raised its rate in October, before deciding to do nothing in December and then again today. The bank's rate affects consumers by raising or lowering the rates that Canadian borrowers and savers get for lines of credit, savings accounts, and variable-rate mortgages. The bank also downgraded its expectations for Canada's economy this year. A 25 per cent plunge in the price of oil since October has had a "material impact" on the economy, to the point where the bank is now forecasting just 1.7 per cent growth this year. Three months ago, it was expecting 2.1 per cent growth. But despite that slowdown, the bank still indicated it plans to raise the rate again sooner rather than later. "The policy interest rate will need to rise over time into a neutral range to achieve the inflation target," the bank said. At a press conference following the announcement, Poloz said the slowdown in the oil sector is acute, but so far the impact is being offset by strength elsewhere in the economy. "By all of our readings, something like 90 per cent of the economy is operating at capacity, having trouble finding workers, struggling to invest and to grow, and so on. So we have to pay a lot of attention to that, while at the same time acknowledging that the economy will always have the stresses of some form of something declining," he said. "There are a whole lot of other things … going on out there that are actually doing very well," he said, adding that he expects the impact on overall GDP to be less than the oil slowdown in 2014 was, because the energy sector isn't as big a part of the Canadian economy any more. That sentiment buoyed the loonie, which gained about a third of a cent to 75.73 cents US after the decision came out. Like just about every economist covering the bank, CIBC's Avery Shenfeld wasn't expecting the central bank to announce a hike on Wednesday, but he found the bank's rationale for its decision interesting nonetheless. "Its message today suggests that it isn't quite as sure about when it will come off the sidelines and hike again," he said. Stephen Brown with Capital Economics had a slightly more subdued take. "The bank continues to think that further interest rate hikes are necessary, despite a host of factors that are weighing on the outlook," he said. "But if we're right that oil and housing will be a bigger drag on growth than the bank expects, then further interest rate hikes are very unlikely and the odds of interest rate cuts will rise in the coming quarters." TD Bank economist Brian DePratto said that on the whole, the bank seems to be taking a cautious approach, but is still on a path to higher rates. "The roller-coaster ride of the past few months has brought a note of greater caution to the Bank of Canada's communications, and today's decision looks to be an extension of that," he said. 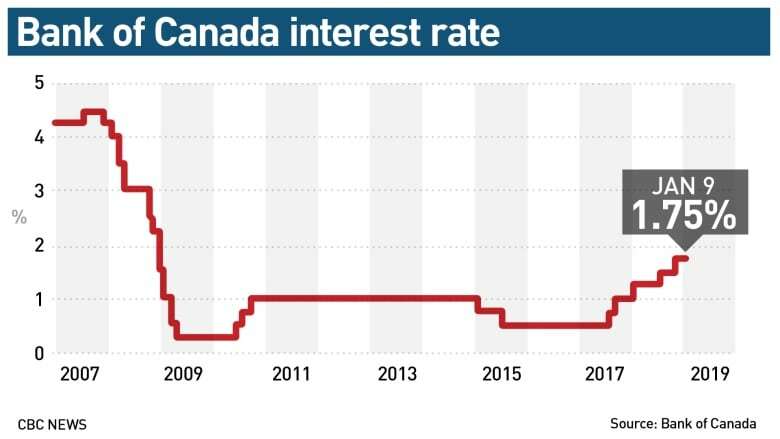 "Governor Poloz and company still see more rate hikes down the road, but aren't in any great rush to get there."